There was a time when the single life was all I knew. I did not complain. I did not go out searching for less-than-perfect dudes to fill that so-called void. In fact, I never viewed being single as deadly. Maybe it’s the introvert in me, but I valued my alone time while I was single and now that I’m in a relationship, I value it even more, especially knowing that my boyfriend needs and understands all of that because he’s just as independent himself. Major turn on! I don’t mean to come off as snooty, but whenever I’d see people complaining over how single they were, I just wanted to grab them and say, “snap out of it!” We shouldn’t view being single as a negative. If anything, being on your own develops your sense of character, maturity and independence. We can’t find ourselves and know who we truly are or what we want if we’re always surrounded by others. Let’s be real here: Being single is selfish and everyone deserves it and has a right to it. It doesn’t matter how old you are or how many failed relationships you’ve had. 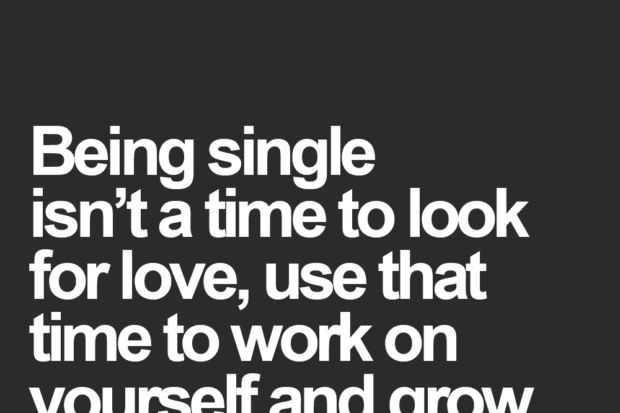 Being single is crucial for your self-growth. We should not be relying on another person to bring us happiness when we’ve had that power within ourselves all along. One of the things that I love most about my boyfriend is that he understands how strong we are on our own while knowing that together we’re stronger. We were both single for a while before we started going out and that really helped us figure out what we wanted out of life, so when we started dating, it didn’t feel forced. All of our friends are practically married with kids, some in not-so-happy relationships. We both knew we never wanted to be in that situation where we felt trapped because we settled for someone less than ideal out of loneliness. We waited for the right person and once we found each other, we became unstoppable. Don’t get me wrong, there were definitely times where I’ve felt lonely. I’ve had more failed crushes than I care to discuss and with every heartbreak came that nagging thought in the back of my head that I was unlovable and destined to be alone for the rest of my life. The best part about life is that it pushes away what you think you want and gives you exactly what you’ve always needed in the most unexpected of ways. 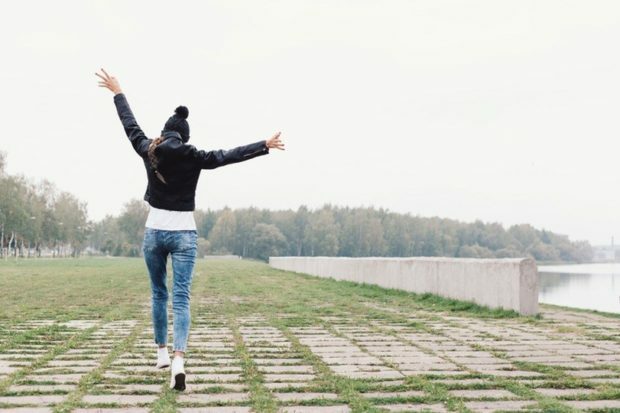 Being single isn’t as deadly as you may think. Stop listening to what society tells you that you should be doing with your love life and focus on you. Give yourself the time and attention it deserves. Work on yourself before you start to love another person. When the time is right, love will be there waiting for you with open arms and if it’s the right person, it will feel like home. I promise. Everyone deserves a love like that. Until then, you’re on the right track.